Can a period drama be too detail-oriented for its own good? Every piece of “Snowfall” is well-crafted. From the pitch to the paper to the scenes brought to life from it, John Singleton, Eric Amadio, and Dave Andron’s new drama tells an authentic ’80s tale inspired by truth and shaped by street life in South Central L.A. As the tagline reads, it’s the story of how crack began, which contrasts longstanding cultural oppression with the CIA’s secret role funneling drugs into the country. You can imagine the comparisons — “It’s like ‘The Americans’ meets a west coast ‘Wire’!” — and you can see the layered craft work throughout the first six episodes. But “Snowfall” doesn’t transcend beyond its talking points. Exquisite period detail and terrific performances, from newcomers like series lead Damson Idris to returning favorites Bokeem Woodbine and Kevin Carroll, can’t fully overcome a familiarity of structure, pacing, and story. We haven’t heard much about this piece of history but, for as fascinating as its honesty can be, it doesn’t make up for the emotional redundancies. “Snowfall” may be one of the many casualties of “peak TV”: a robust series that feels less so by comparison. Given there are already outstanding dramas about drugs (“The Get Down,” R.I.P. ), the ’80s (“The Americans,” among many), race relations in urban environments (“Atlanta”), and music-driven visual showcases (“Legion”), “Snowfall” fails to stand out from the pack even though it fits snugly within it. Set in 1983, the sprawling pilot first focuses on Franklin Saint (Damson Idris), a young kid living in Los Angeles who’s got his heart in the right place and his head in the clouds — in a good way. Franklin, when we first meet him, is content working as a clerk at a convenience store and casually dealing weed for his uncle. He’s putting away a decent amount of money in a low-risk environment, both legally and morally. “Snowfall” doesn’t depict marijuana as a dangerous drug to use or to sell, but Franklin dealing it is a violation of the trust he has with his mother, Cissy (Michael Hyatt). The Saint family bonds are strong and make for endearing moments, but they aren’t developed enough. One family member’s past is teased at the pilot’s end, and after six hours there’s still a lot left to be discovered about his relevance. The delay is decently balanced by the rest of the ensemble, starting with Franklin’s favorite Mexican wrestler, Gustavo “El Oso” Zapata (Sergio Peris-Mencheta). His barroom matches aren’t meeting Gustavo’s needs anymore, and he knows he wants and needs to do more as his body catches up with his age. 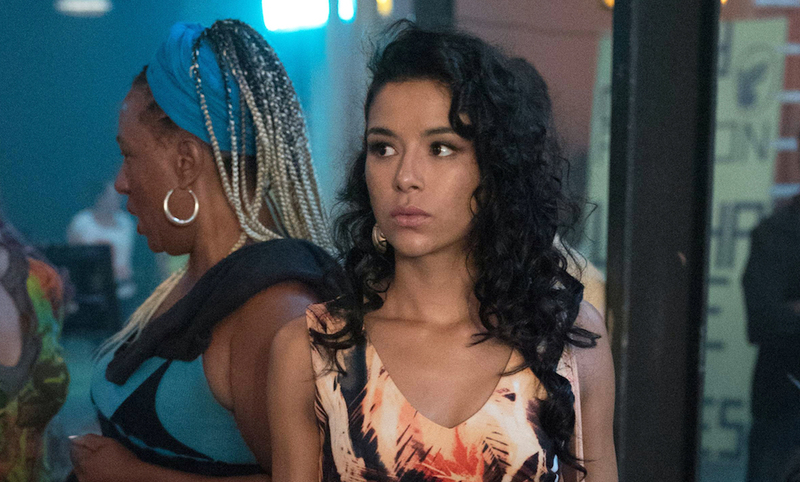 Enter Lucia Villanueva (Emily Rios), the daughter of a Mexican crime lord who’s looking for a bigger piece of the pie, as well. The two come together for work, but form a slow-moving but intimate relationship… that’s totally platonic. (We think.) That the two don’t immediately couple up is far from a problem; if anything, it shows the writers know they have to zag when expected to zig. This lesson does not apply to the final narrative thread, and perhaps the most frustrating: the CIA’s involvement. Led by Teddy McDonald (Carter Hudson, a fresh face with loads of talent), the plot traces an off-book CIA operation to fund the Nicaraguan Contras by peddling cocaine in the United States. Teddy, a disgraced agent sent to Los Angeles as a punishment for a mysterious mistake in his past, is joined by Alejandro Usteves (Juan Javier Cardenas), a Contra soldier stationed in America to help facilitate the transport of weapons to his fighters. The two form an intriguing partnership; not buddies, not enemies, not overly jokey, and not unquestionably loyal, they share a very business-like back-and-forth. Teddy is burdened by a wife and son who think he’s working too hard (and perhaps for the wrong reasons). Alejandro is quiet, his mind thousands of miles away with his family waging a war without him. Their relationship is different than the forced partnerships we typically see on TV, but it can feel like the two actors’ talents aren’t being fully utilized when each is sent to brood and worry on their own, rather than commiserating together. But, if anything, “Snowfall” is a series built on accuracy. Teddy and Alejandro’s relationship does feel accurate, like so much of the show, because of the thoughtfulness put into their behavior, just like Franklin’s ambitions are well-framed. We get why he’d do what he does. We feel for him. But we’ve also seen where these decisions lead, time and time again. “Snowfall” is so detail-oriented one feels like it has to keep going down the track it’s on, especially when there’s been no sign of jumping the rail and bucking expectations, formally or narratively, through six hours. The episodic writing is clean, with a sturdy structure and traditional arcs. More often than not, what happens in the first few minutes comes back around in the final few. But given how much TV is out there and how competitive the market is because of it, it’s less interesting to watch anything familiar. For all the remixed ’80s tunes and its surprising central story, “Snowfall” is a little too by-the-book for its own good. Some viewers may find it comforting, but our TV climate feels ready to see actual snow fall in the summer, not to be told why that wouldn’t happen. 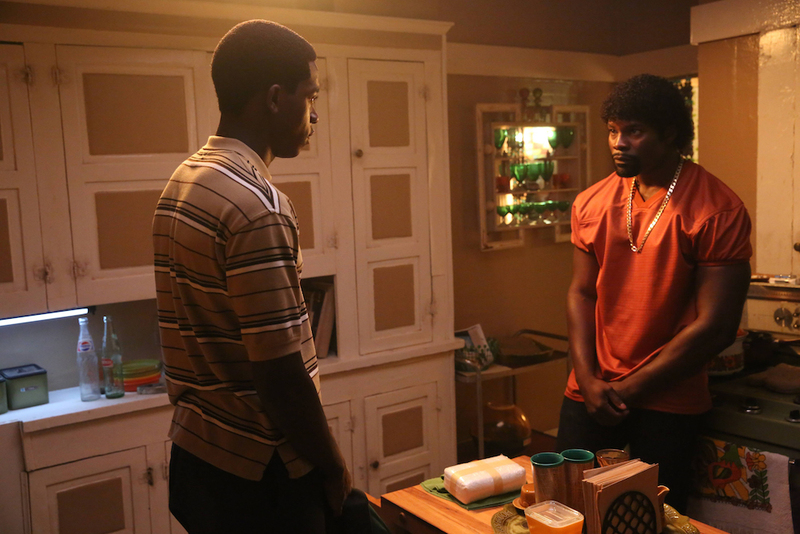 “Snowfall” premieres Wednesday, July 5 at 10 p.m. on FX.